Comments: Messier 106 (also known as NGC 4258) is a spiral galaxy in the constellation Canes Venatici. It was discovered by Pierre Méchain in 1781. M106 is at a distance of about 22 to 25 million light-years away from Earth. It is also a Seyfert II galaxy, which means that due to x-rays and unusual emission lines detected, it is suspected that part of the galaxy is falling into a supermassive black hole in the centre. 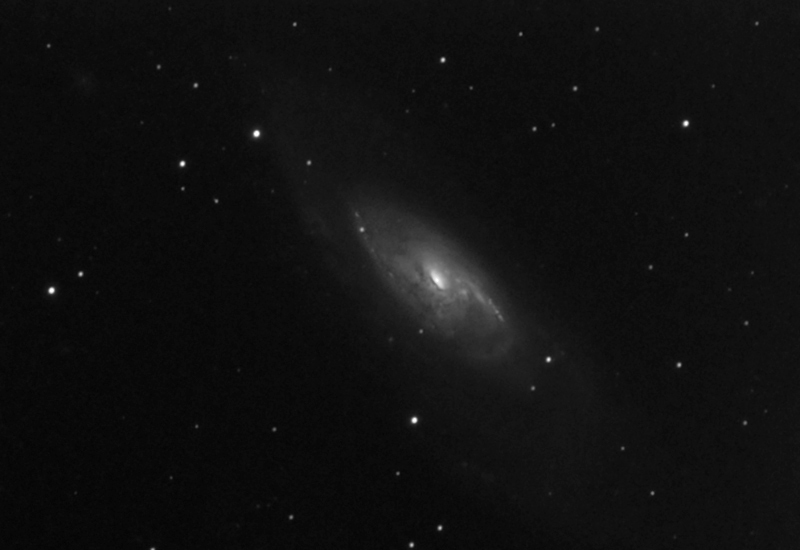 M106 has really nice colours and would benefit from RGB (one for the future). 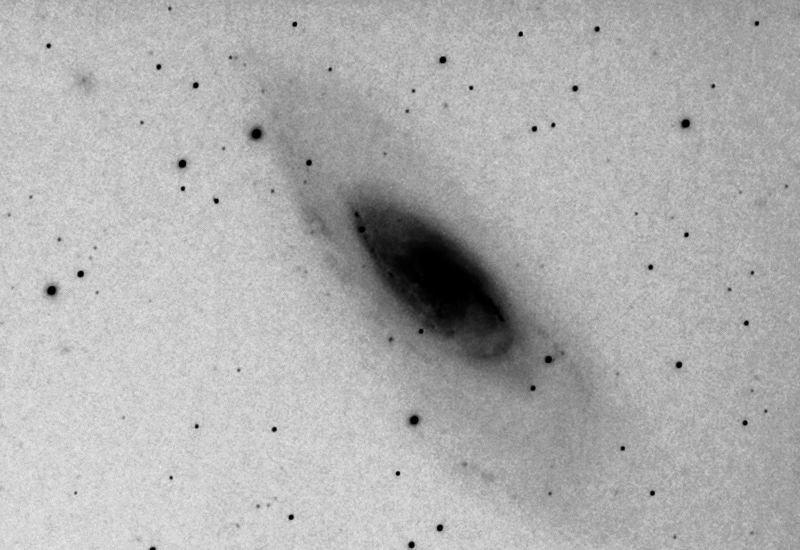 The inverted image shows the extent of the spiral arms and also a small feint galaxy UGC7536 (mag 15.8) in top left hand corner.